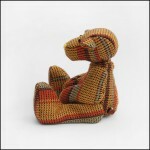 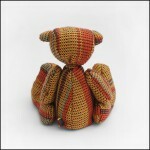 Willem is a timid 4″ sitting teddy bear handmade using beautiful 100% wool yarn. 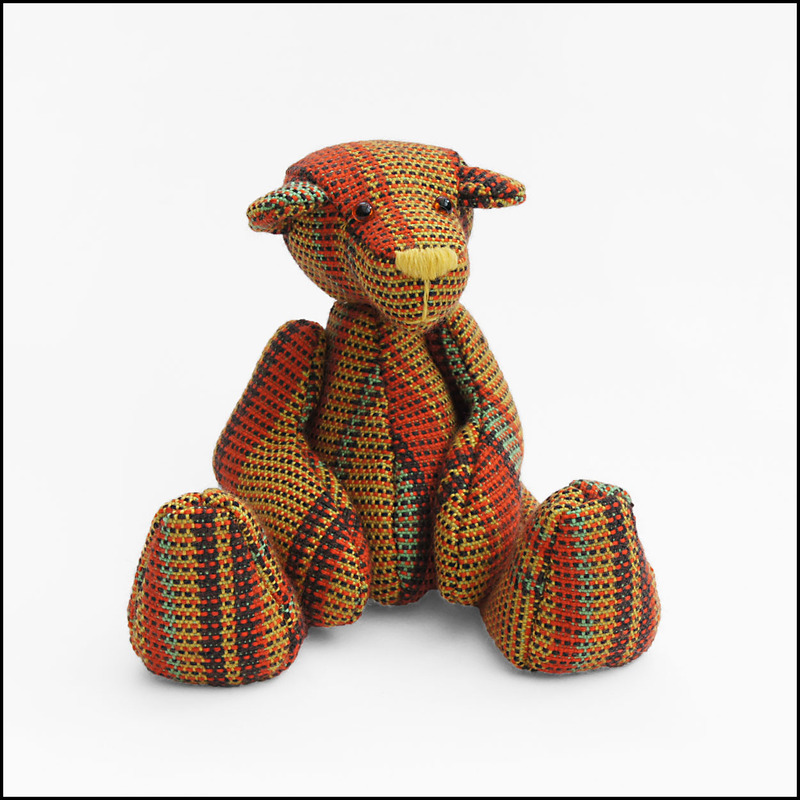 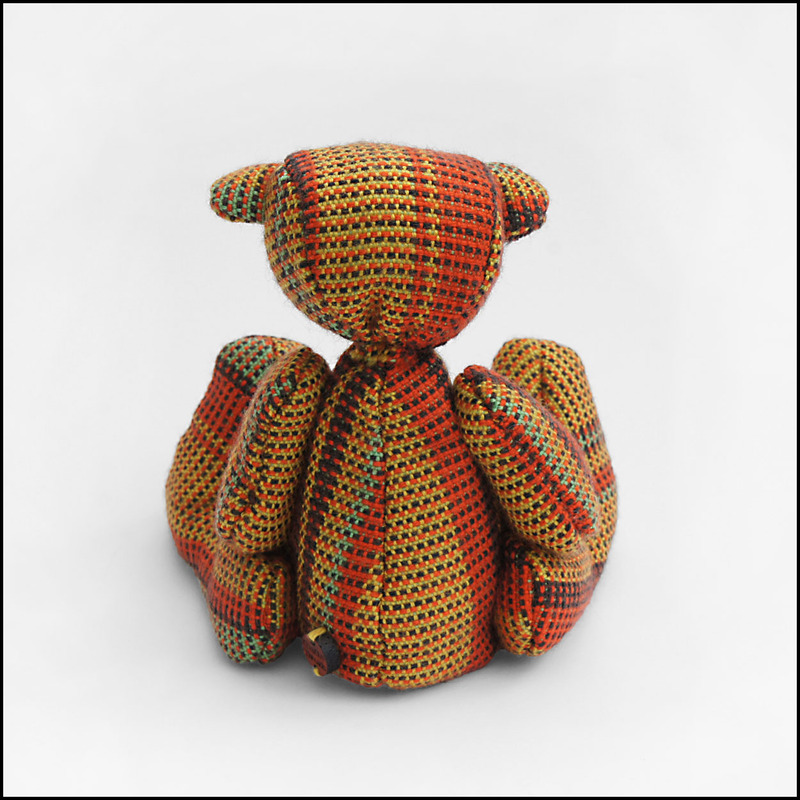 His fabric has been lovingly handwoven using multiple colours in both the warp and weft before being carefully cut and sewn together and filled with glass beads. Five cotter pin joints make sure his head, arms and legs are movable. 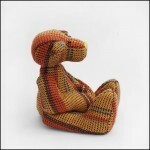 His little glass eyes and hand stitched nose give him real character.